Thank you for supporting WEI's Amador Hill Farm & Orchard. We are picking and packing your first CSA boxes today! This is the beginning of a trail of boxes into your life. We do ask that you either leave the folded up box at your drop site (come with a bag of your own) or return the box a week later following each delivery. The first few boxes are light with light-weighted produce but as the summer and fall months roll out, the box will become heavy and filled to the max. Most of all we want you to thrive with your CSA produce and enjoy the creativity it enables for the adventurous pallet and the health-conscious eater. 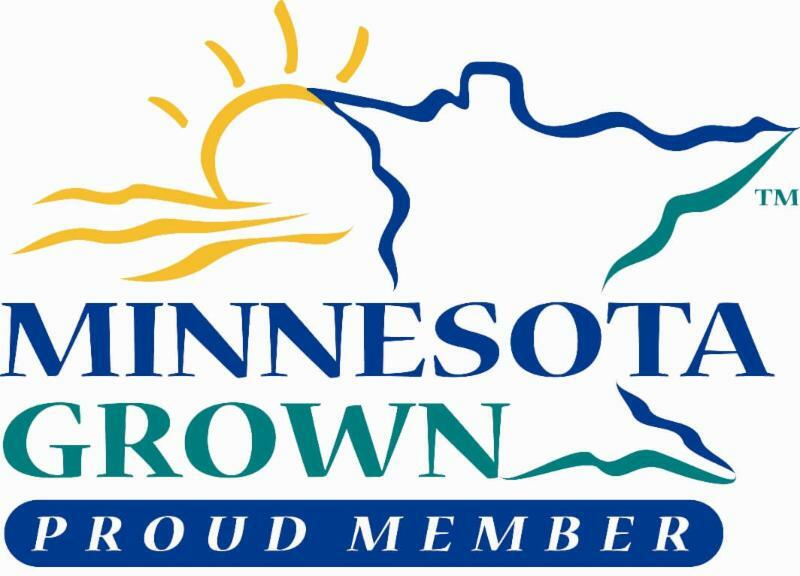 If you are uncertain of the drop site you signed up for, or have any other questions, please call Jerry at 651-583-0705 or email jerry@w-e-i.org. Please plan to pick up your farm share every week at your drop site between the estimated delivery time (see below) and the drop-site's closing time that day - please see your drop site's website for their hours of operation. If you don't arrive by closing, your box may be forfeit. If you anticipate missing your pick up time, call your drop site. If there is a CSA sign off list available at your drop site, please initial by your name when you pick up your CSA share each week. All boxes have the same contents, please take the full contents of one box and flatten your box leaving it at the drop site. Thank you for planning ahead by brining your own bags. If you are sharing a box with someone, please do not leave partial boxes for the other person at the drop site, as they may be mistaken for a full box by another shareholder. We are using this schedule for the first week and may have changes next week as we get used to the timing. 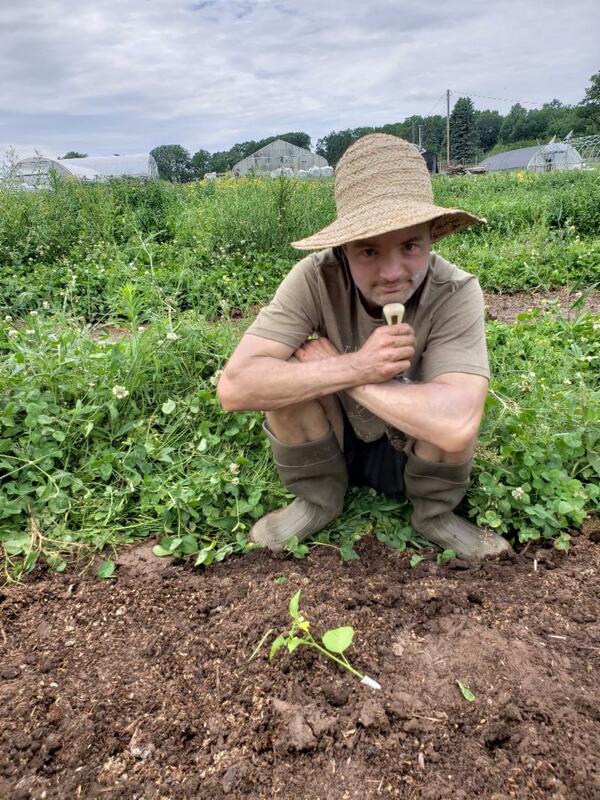 5:00 PM--Thursday WEI's Amador Hill Farm 15715 River Road North Branch MN 55056 (if this is your first time picking up at the farm, please call Jerry for directions to our cooler). 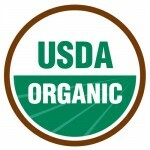 **Note that on some occasions we out-source produce we have not grown on site at Amador Hill Farm. 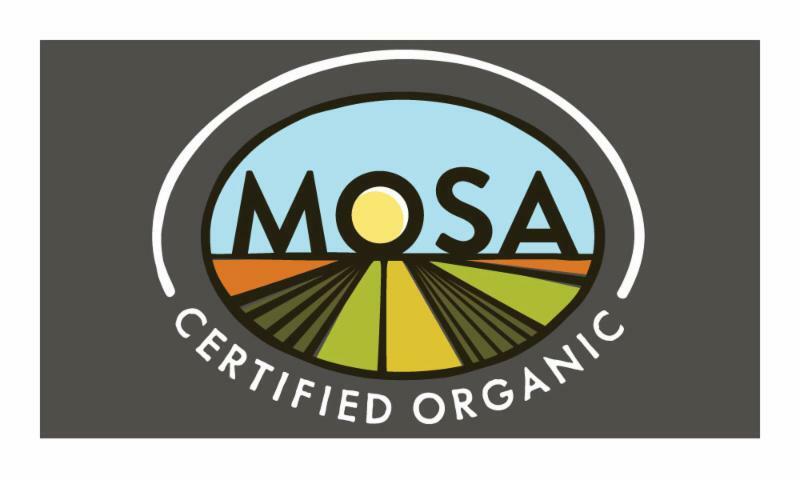 We only work with other organically certified farms or with farmers we know who grow organically and sustainability without the expense of official certification. 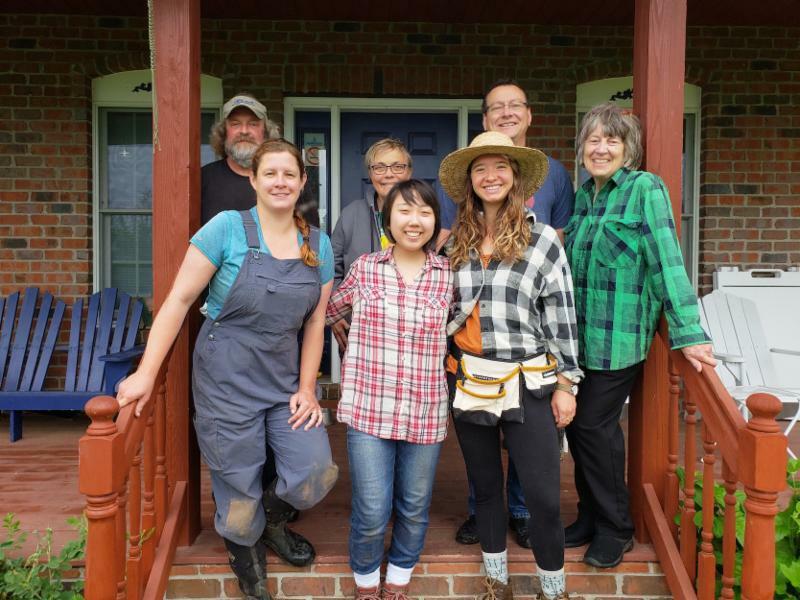 Special thanks to our summer and fall work-share volunteer farmers including Sarah Kretschmann, Katie Wahl, Sophie Hakala, Mona Koppy, Ben Langston and our weekly youth volunteers from Camp Sunrise! 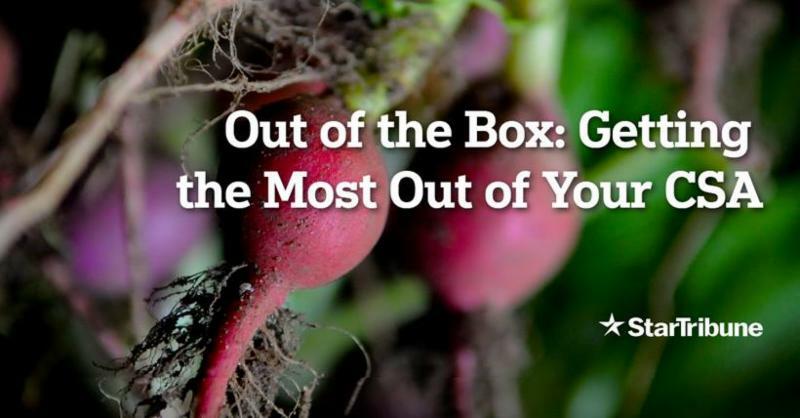 We are proud to be a part of the Star Tribune's summer long series "Out of the Box: Getting the Most Out of Your CSA". 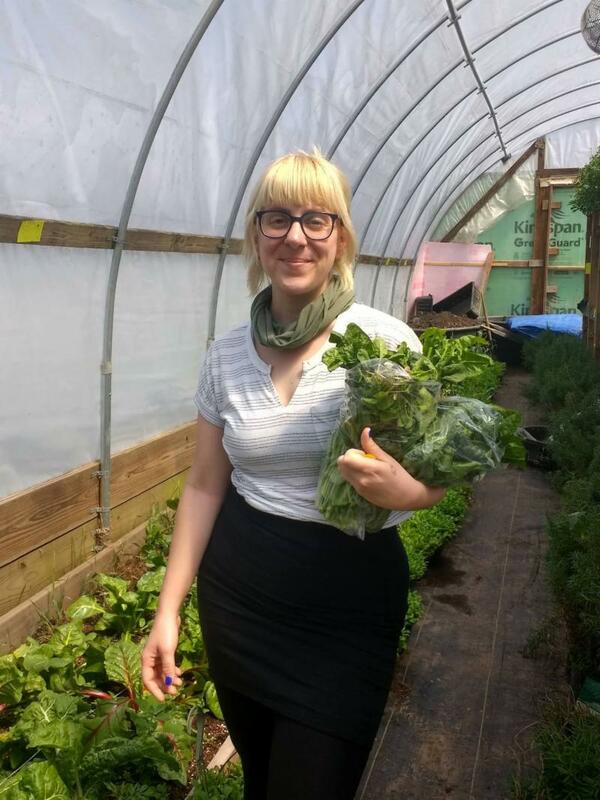 This summer they are hosting a private Facebook group to provide shareholders and farmers market shoppers to dialogue, share and learn how to use amazing fresh seasonal local produce! They will have visiting chefs and great information about eating local. Amador Hill Farm will provide two CSA boxes to the project this summer and our shareholders are encouraged to join and participate in the discussions on line! A spring treat, garlic scares are the green flower bud of the garlic plant. They are thicker, crisper and more flavorful than chives and have a hint of sweetness with a gentle taste of garlic. Eat them raw or cooked in place of garlic in any recipe. Dry or freeze them for soups and stews later in the year. They will last more than a week in your refrigerator stored in a plastic bag. These extra spicy mustard greens have been a big hit at the farmers market! We are sharing a small portion to add an accent to your cooking inventory. Delicate and extra spicy greens make a wonderful add-in to a salad in search of a kick! Just tear the leaves into small pieces and toss them into your salad. If you prefer something less peppery, you can mellow the flavor by slow cooking. 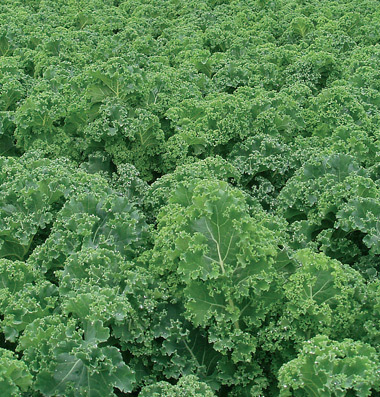 Starbor Kale, one unique and special variety of the KALE SUPERFOOD family! 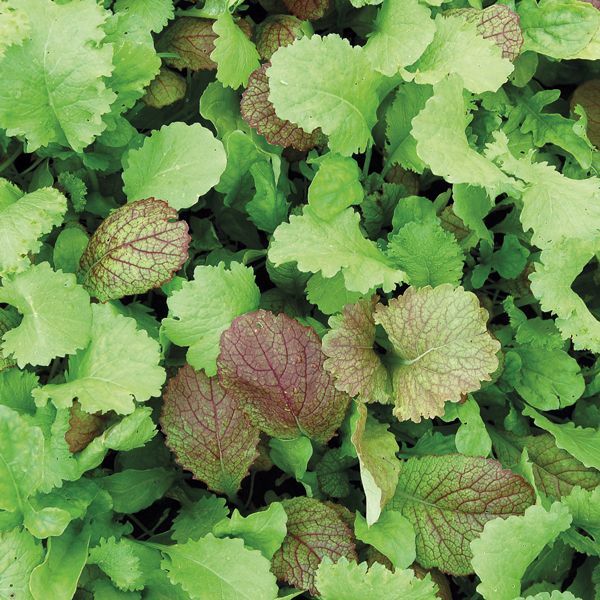 Extra curley leaves create a lovely texture and excellent place for a nice salad dressing to reside! Loaded with vitamin A, C and K, Iron and other important nutrients! Trying to increase you omega 3 fatty acids? Just one cup of Kale provides you with 10 % of your daily recommended dose! 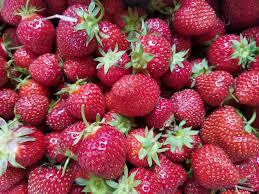 A seasonal treat in Minnesota, sweet and juicy farm-fresh Strawberries! They probably won't make it into any of your recipes this week, if you are anything like us here at Amador Hill Farm - you'll eat them up upon arrival! But if you crave an old fashion spring desert, you won't be disappointed with this Strawberry-Rhubarb Pie Recip e ! Early summer favorite - Rhubarb! Some say, why eat something SO TART? Well, it is a great compliment to many sweet summer foods like lemonade, strawberry crisp, or smoothies. 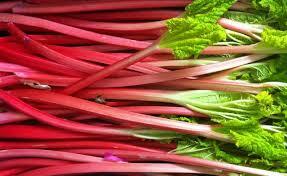 Rhubarb makes amazing slaws, chutneys and is great pickled. It's rich in vitamin C and K and a good source of calcium and magnesium. 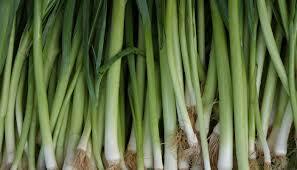 What dish isn't enhanced by a few slices of green onions? Salads, soups, wraps... serve them sliced, julienned, minced to top just about any meal! They are even great grilled whole. ﻿Among the many benefits of a diet rich in Alliums like green onions, they are rich in Quercetin, a powerful antioxidant, anti-inflammatory and antihistamine. Eat your greens! 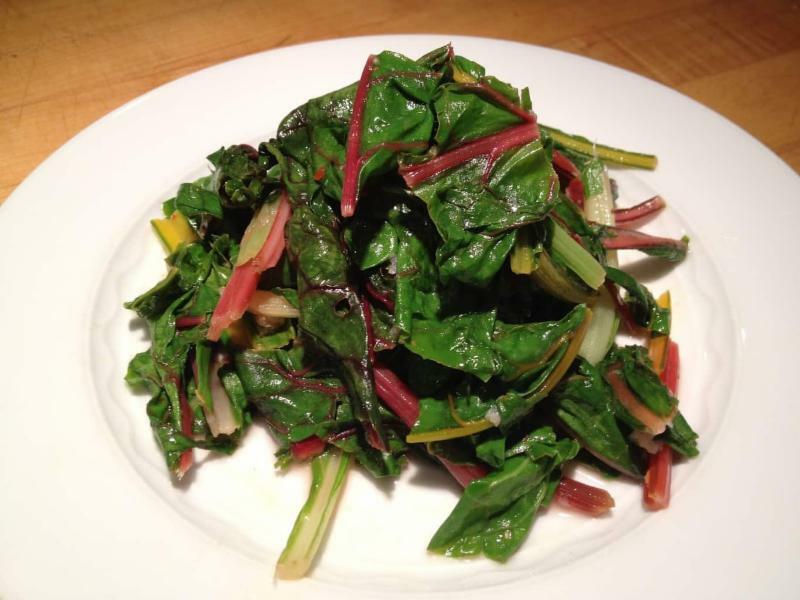 Beet greens are devious and full of vitamin K, A and calcium and a great source of fiber. They make very tasty smoothies and juices. Easy to saute - just steam or blanch for 2 minutes, pat dry & chop coarsely. 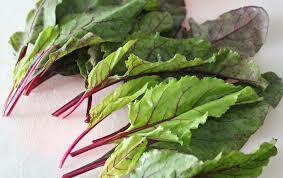 Sauté some garlic in oil, add beet greens -stirring for a few minutes, season with salt and hot pepper flakes! We will be harvesting lettuce today and delivering you either a lovely head of Romain or Green Leaf Lettuce. They make a wonderful tossed salad like the classic Cesar Salad or Bacon-Blue Cheese Salad. Their crisp leaves make good 'lettuce boats' or 'hand-salad' - serve a selection of leaves on a platter with a bowl of your favorite dip - try a nice dill yogurt, chickpea hummus or black bean salsa. Great for a patio dinner. Rinse and dry your greens. Remove the thickest part of the stem from your Kale and Chard. Coarsely chop the leaves. Coarsely chop the stems. Thinly slice scares and green onions. 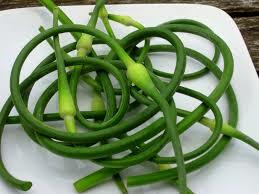 Heat your oil over medium high heat and sauté the Garlic Scapes and Green Onions 2-3 minutes. Add Beet Greens and cook, stirring about 2 minutes. Add Kale to the Beet Greens and cook for about 3 minutes. Then add the Chard to the Kale, continue sautéing for another 4 or 5 minutes. Toss in the Mustard Greens for the final minute to add a nice peppery accent to this dish. Squeeze a bit of lemon juice over your dish just before serving. *For meat lovers use bacon drippings in place of olive oil. This week you will receive a precious parcel: fresh strawberries . Compared to their oversized and crispy supermarket counterfeits, these berries are quite sweet and soft. I beseech you, dear reader, DO NOT USE THESE IN A RECIPE. No salads or crumbles. MAYBE a jam if you are feeling generous to your future self in the winter who will enjoy a bit of canned fruit on toast. My suggestion? Just lightly rinse them in cool water, dab with a soft towel and enjoy one by one, savoring the taste of early summer sun and the occasional crunch from a tiny seed. With life, however, there are also accidents. Last week, my friend Clark picked up a few handfuls of strawberries from a friend and then placed them carefully into her bike pannier. By the end of her sweaty bike ride home, the berries were worse for wear, slightly crushed and wilted. She decided to transform these fallen gems into a scrub , a flavored drinking vinegar infused with fruits and herbs. It may sounds strange but when added to sparkling water it makes a refreshing drink and can also add some tartness to a cocktail. Shrubs will last months in the fridge and can be made with any sort of fruit and herbs combination that suits your creativity. They are a great way to add excitement to your hydration and a smart way to use fruit that isn’t as pretty but just as tasty. Shrubs are made with a 1:1:1 ratio of fruit to sugar to vinegar. If you have a kitchen scale (the best $15 you’ll spend for your kitchen, seriously), then you can just weight the quantity of fruit and toss it with an equal amount of white sugar. You can use brown sugar, turbinado sugar or honey as well. Cover the bowl securely with a clean dish towel and let it sit in a cool place for two days (avoid window sills/near the oven). When ready, strain the liquid from the fruit and then add equal parts vinegar to the fruit flavored liquid. You can spoon this fruit over warm oatmeal or vanilla ice cream so that nothing goes to waste. Regarding vinegar, I recommend apple cider vinegar or something lighter, like red wine or champagne vinegar. Basic distilled vinegar will be too harsh with the delicate fruit. Make sure to taste before you add it all so that you get the perfect balance between sweet and tart for your palate. Cover in an airtight jar and keep in the fridge for 8 months (if it lasts that long).